France’s Macron unveils Cabinet, half of them women – Royal Times of Nigeria. France’s centrist President Emmanuel Macron named his government on Wednesday, appointing a mix of political hues to the top jobs and a gender-balanced cabinet in accordance with an earlier pledge to bridge the right-left divide. 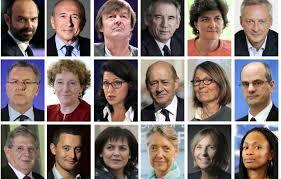 Eleven out of twenty-two new ministerial posts are taken by women with Sylvie Goulard becoming the defence minister while Olympic fencing champion Laura Flessel is sports minister. Having already made conservative Edouard Philippe his prime minister earlier in the week, Macron’s pick for economy minister was Bruno Le Maire a pro-European, German-speaking rightist from Philippe’s The Republicans party. He also picked Gerard Collomb, a Socialist mayor of Lyon as interior minister and François Bayrou, a veteran centrist as justice minister. Mr Macron’s decision to pluck figures from across the political spectrum has set the right into disarray. Some one hundred and seventy elected officials from the right were earlier criticized by hundreds of other lawmakers after they signed a statement backing Mr Macron. 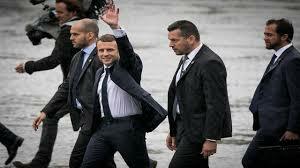 One accused Mr Macron of “blowing up” the political landscape.